By integrating Dynatrace to your incident management environment you can easily notify DevOps teams about customer-facing performance problems. Provide your team a virtual environment where they can prepare for, react to, and recover from each performance incident regardless of location or device. Dynatrace identifies performance issues before the user experience is affected by them. Problems are prioritized based on their impact. So you always know how severe a problem is and if it’s impacting the user&apos;s experience. When critical performance issues are discovered, you don’t have to manually interpret dozens of data sources to know the root cause. 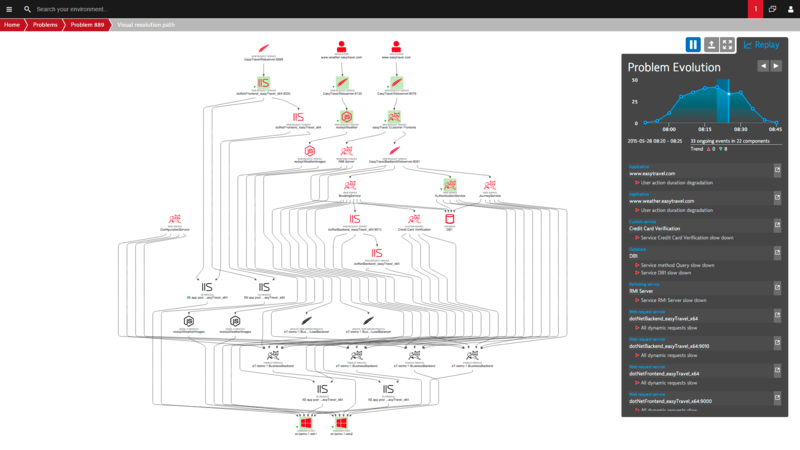 Dynatrace provides a single problem notification that identifies the root cause of the problem. Because you don’t need to invest time into finding problems, you can focus on fixing them. Get start in under 5 minutes with our free trial!